We are used to working with bricks and mortar, but when everyone at the office was asked to get baking for the worlds biggest Coffee Morning we were quite surprised at the results! 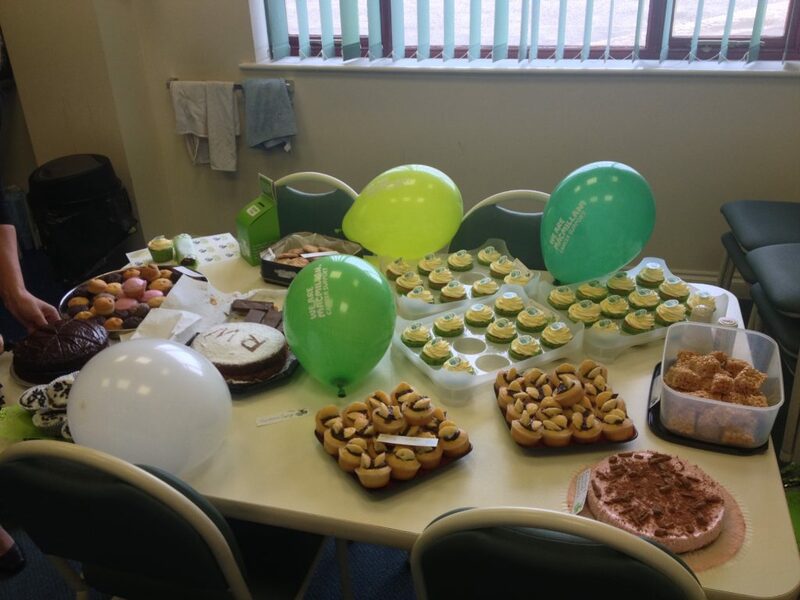 We took part in the world’s biggest coffee morning at our Head Office in Nottinghamshire on Friday 28th September to raise funds for Macmillan Cancer Support. Macmillan has so far raised £8,411,247 towards there target of £10,000,000. Some of the highlights included Raspberry Cup Cakes baked by Sam our Finance Manager, Cookies Baked by Katie and a very chocolaty cheese cake. So to answer the question, not only can we boast a range of award winning construction projects, we can add cakes to our portfolio too! Robert Woodhead are proud to support numerous charities including Macmillan, and we are pleased to announce that so far we have raised over £60 from the coffee morning. We have recently worked with Lincolnshire and Nottinghamshire Air Ambulance to produce a promotional film about the work they do See the video by clicking here.